The Health Care Law can become a complex and difficult process to understand. 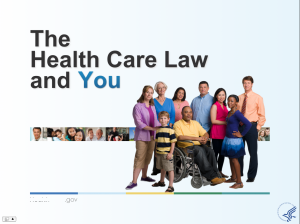 The following presentation tools found below have been developed by the U.S. Department of Health and Human Services, with the help of the Office of Public Engagement at the Centers for Medicare & Medicaid Services, to help guide you through the process of understanding your rights. This resource has been translated into different languages in order to educate members of their benefits regarding the Affordable Care Act in their natural dialect. We hope the following slides will help give you a better understanding of the process. More resources can be found by visiting the Asian & Pacific Islander American Health Forum homepage.